För att behålla sin position som attraktiv arbetsgivare måste Scania ligga i framkant – inte bara gentemot sina kunder, utan även när det gäller erbjudanden till sina anställda. Scania must continue to lead the way not only for their customers but also to maintain their position as an attractive employer through their employee offerings. Scania decided to launch a smart benefits portal with Benify which had an immediate impact. The portal gives employees an overview of their total reward package, relevant and easily accessible information about their employment, and hundreds of benefits to choose from. Scania also has a shuttle bus, Scania Job Express, for their employees. This service has quickly become one of the most popular benefits among workers. 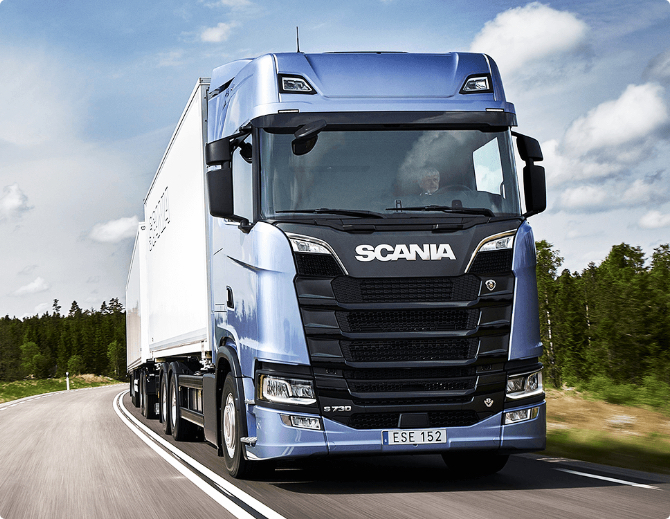 It’s a unique solution for Scania for which Benify handles the ticket administration. Scania handled thousands of receipts every year before implementing Benify’s solution. With the help of Benify, countless receipts have been replaced by just a handful of invoices. Employees receive personal notifications encouraging them to log in to the new portal. This has led to a remarkable 10 out of 10 engagement ratio. Scania’s employees appreciate the access to great deals through the portal. The most popular discount? Consumer electronics. – “Benify helps us to modernise HR work through digitalisation. The best thing about the portal is that Benify can help us with all of our company-specific benefits and that each employee can find something that fits just them. Together with Benify, we bring forward an effective solution to things we previously spent much time on – which is a win-win for both employees and the HR department”, says Björn Linderbrandt at Scania.